Was working with Ms Zoe Tay for a photo shoot for magazine few weeks ago and she was telling me about this wonderful eyelash curler that she've found from Japan. And later she even asked someone to buy this for me. Thank you very much my dear! 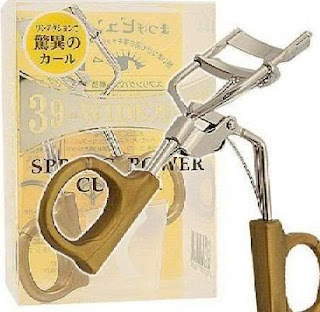 What really make this eyelash curler different from others are the size of this curler really suite Asian's eye feature plus the rubber pad, or maybe they're make of silicon and it will not cut the lashes that easy. 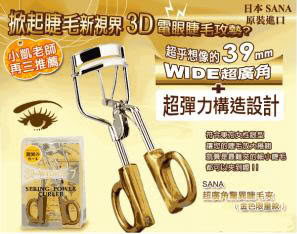 This eyelash curler is from the brand Sana, really hope that they should bring in Singapore soon!